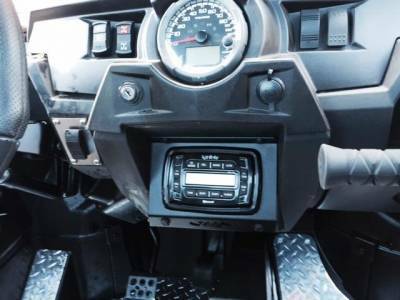 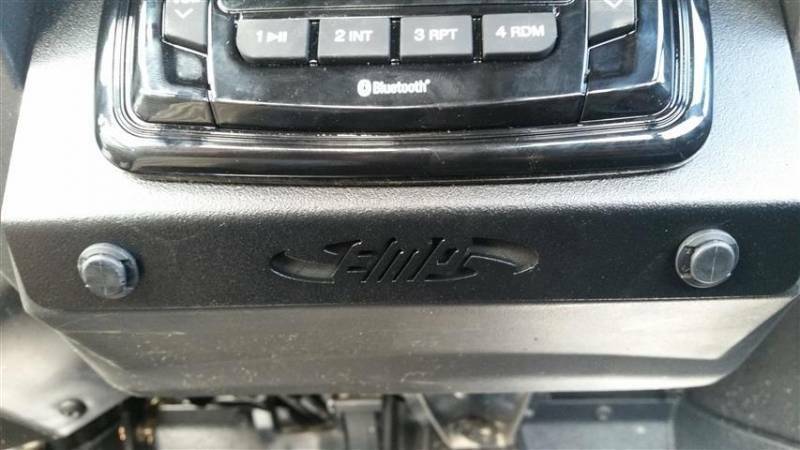 Now, you can mount a stereo in the dash of your RZR. 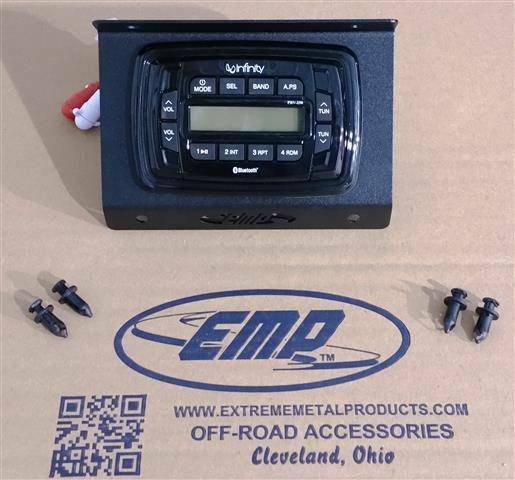 This kit includes the stereo, mounting plate, and plastic factory style fasteners. 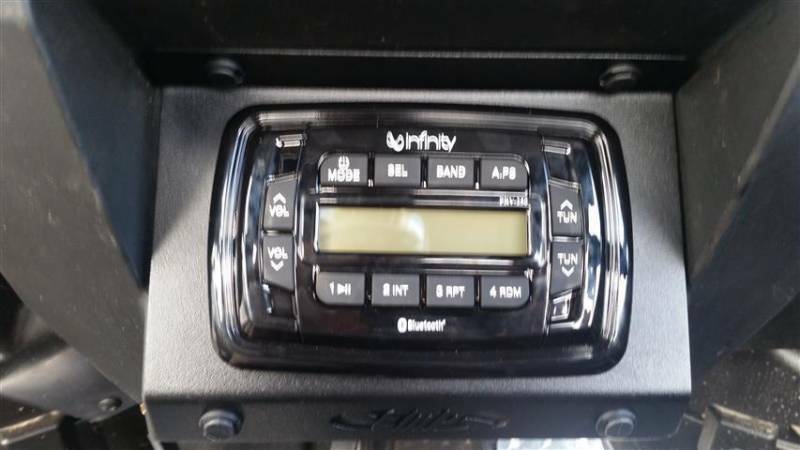 It is everything your need to mount the stereo in the dash but no additional wiring is included. 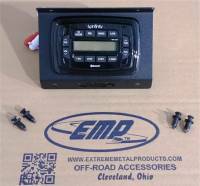 In other words, you have to wire it up to your speakers of choice as well as your powder source that is located under the hood panel. The panel requires drilling (4) 5/16" diameter holes for the plastic factory style rivets. We recommend our doors speaker pods P/N: 12863.